Markmaking and Reflection - Computational Creatures 3.1 — Wonderful Idea Co.
Today was the first day of the third week of WICO summer camp. We'll be focusing on the idea of computational creatures and over the next five days, we'll be experimenting with art machines, toy dissections, cardboard automata and programmed robots. As usual, we started the day making a tool that we'll continue to use throughout the week, a custom journal to write notes, draw sketches and keep track of ideas. We used the technique of plastic fusing to create covers for the notepads and we were impressed by some really artistic patterns and designs. 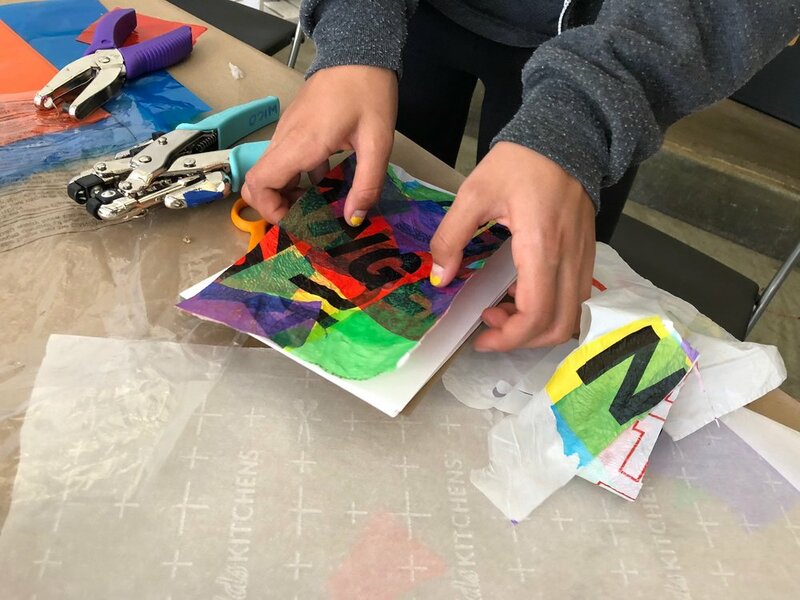 In addition to creating a useful tool, campers started to engage in the process making small design choices that contribute to the process of creating something interesting or beautiful. And in the afternoon we worked on putting together art machines with markers, recyled bodies, batteries and hobby motors. There was so much variation in the designs of everyone's projects and it was fun to see ideas travel around the room. 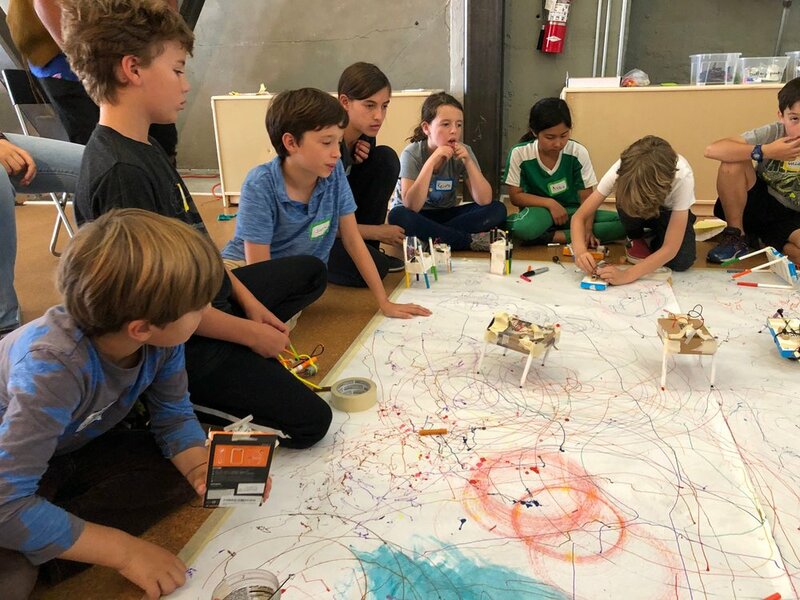 The high ceilings of the activity were also on display as some campers worked on really complex ideas including adding multiple motors, creating specific designs and even building a paint dripping machine. At the end of the day we went around the circle and showed off the machines, reflecting on the parts that we were proud of and the moments of furstration that we felt during the process of tinkering. And finally we returned to our journals to draw and write about the art machines, completing the cycle of art and reflection for the day and preparing us to continue with more explorations tomorrow.